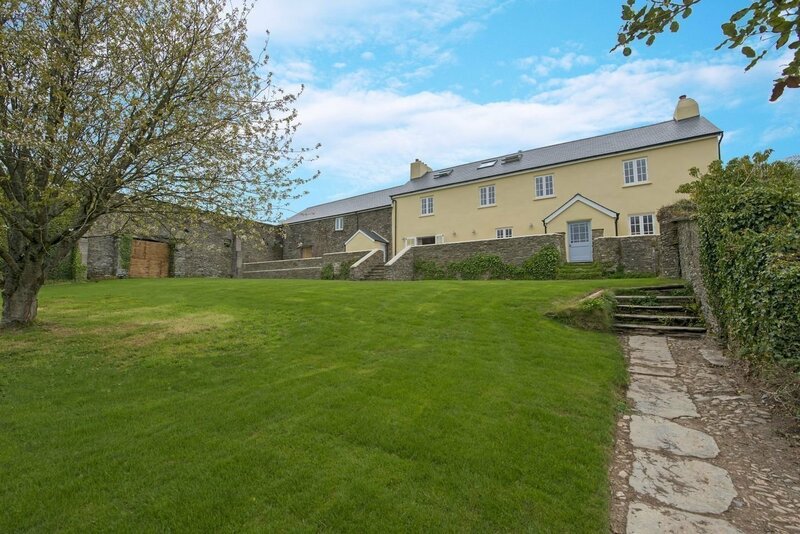 At the end of half a mile of private driveway and surrounded by 280 acres of farmland, Lower Widdicombe Farm is a beautiful and secluded holiday home. Footpaths cross the grounds and the property is a wonderful mix of sea glimpses, country escape, farmhouse style and ultra modern design for a five-star family or group holiday. Let by Helpful Holidays, Pebbles brings the hotel feel to this self-catering holiday home, providing our Property Management service as well as housekeeping, gardening and welcome hampers for guests. Everything has been amazing. Such a well equipped house in a beautiful location. Please pass on our thanks to the owner. "Everything has been amazing. Such a well equipped house in a beautiful location. Please pass on our thanks to the owner"